An airport for Coffs Harbour was mooted by the then Dorrigo Council in 1928. But it was not until 1930 that funds were secured enabling improvements to the grass landing strip and site drainage. A year later Council was gazetted as the Trustee of Coffs Harbour Aerodrome by the Lands Department. The Aerodrome continued under Council management until World War II when it was taken over by the Commonwealth until its return to Council in 1984 under the Local Ownerships Plan. As part of this Plan, Commonwealth funds were made available to widen the main runway and build a new terminal which was completed in 1987. During the 1980’s the Air Traffic Control Tower was installed. This is still operational today and is administered by Air Services Australia. Since 1984, Council developed and implemented a series of Plans of Management to guide ongoing investment and enhancements to airport infrastructure, facilities and aviation services. This occurred in 1994, 2004, 2007, 2011 and 2014. Throughout these times, the airport runways continued to be upgraded and strengthened as aircraft sizes increased and aircraft began landing with greater frequency. The airport terminal too, had undergone some major changes during the period. These and other ongoing improvements to service standards, customer comfort and frequency of flights now draws travellers from as far afield as Armidale, Port Macquarie and Grafton. 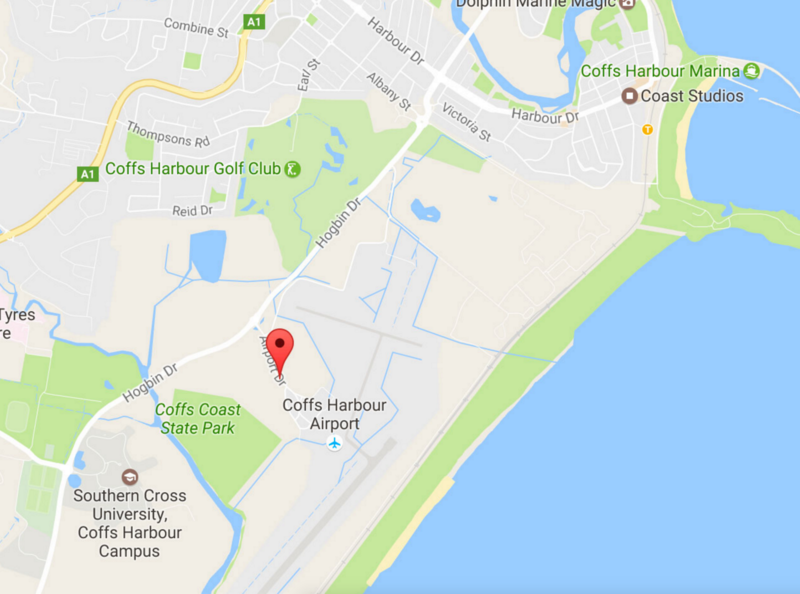 The airport continues to grow and since Financial Year 2009/10, passenger numbers at Coffs Harbour Regional Airport increased by over 100,000 to 412,824. During the period July 2016 to June 2017 alone, the increase over the previous year was a significant 35,519 passengers. With current predictions this trend will continue into the foreseeable future, improvements and expansions of airport infrastructure have been undertaken to future proof the business for the next ten years. Coffs Harbour Regional Airport recently invested in expansion works, which were completed in late 2017, with funding from the NSW State Government. These included an extension of the departures and arrivals halls, creating an additional 25 per cent of floor space, and improved passenger facilities and amenities. These upgrades helped meet the needs of our airport visitors and included, additional disabled toilets and the installation of a hearing augmentation system, to assist those with hearing impairment.